I'm way behind with book reviews so this is going to be another of my quick catch-up posts covering three books. 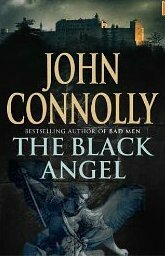 The first book is The Black Angel by John Connolly. This is book 5 in his popular Charlie Parker crime/horror series. The book went back to the library last week so I've nabbed Amazon's synopsis to describe, partly because my memory is so bad but also it was a hugely complicated plot. A young woman goes missing from the streets of New York. Those who have taken her believe that nobody cares about her, and that no one will come looking for her. They are wrong. She is 'blood' to the killer Louis, the man who stands at the right hand of private detective Charlie Parker, and Louis will tear apart anyone who stands in the way of his attempts to find her. But as Louis's violent search progresses, Parker comes to realize that the disappearance is part of an older mystery, one that is linked to an ornate church of bones in Eastern Europe, to the slaughter at a French monastery in 1944, and to the quest for a mythical prize that has been sought for centuries by evil men: the Black Angel. Yet the Black Angel is more than a myth. It is conscious. It dreams. It is alive. And men are not the only creatures that seek it . And the book is every bit as excellent as that description makes it sound. Parker's side-kicks, hit-men Louis and Angel (together in every sense of the word), take centre stage in this book. Charlie is there with them but this is all about a missing, troubled relative of Louis's. Louis feels he's let this girl down and is willing to shift heaven and hell (and black angels) to avenge her death. I've loved all of this series, I mean *really* loved them but this one was extra special. Possibly it was the history that did it... all the European monastery stuff was fascinating, dating from the 14th. century right up to Nazi Germany. More than that though I'm rivetted by these ideas of fallen angels being real that Connolly has introduced and by what Charlie Parker actually *is*. For me this is the perfect series of books, probably my current favourite at the moment though several others run it a close second. I've added it to my list of books read for Carl's R.I.P VII. 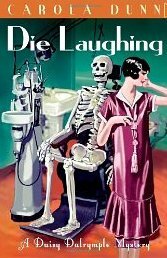 Next up is Die Laughing by Carola Dunn. Huge fun, as always. I particularly like the cover of this one, an artist by the name of Ken Leeder does these British covers and I have to say I really like them. Anyway, an enjoyable plot as always. Quite 'busy' with a lot of complicated extra-marital stuff going on so that the reader changes their mind a dozen times about who actually did the dirty deed. Daisy and Alec continue to enthrall me, and are definitely one of my all-time favourite literary couples. This is book twelve and I'm happy to say I got a cheap deal from The Book People and have the rest of them - eight books - on my tbr shelf. Lastly, A Traveller's Life by Eric Newby. 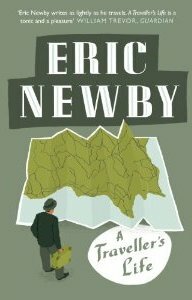 Eric Newby, who died in 2006, was one of the most famous travel writers of his time. He wrote some 20 volumes of his travels around the world, the most famous of those being, probably, A Short Walk in the Hindu Kush. 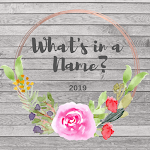 It was Danielle at A Work in Progress who started me on his books by mentioning Love and War in the Apennines, a memoir of his time in Italy during the war. I was intrigued, got it from the library, absolutely loved it, and promtply ordered A Traveller's Life from Amazon. Newby goes to great pains to stress that this volume is not an autobiography as he only includes stories he thinks might really interest the reader. I have to say though that it does read like an autobiography! Whatever, it was an excellent read. 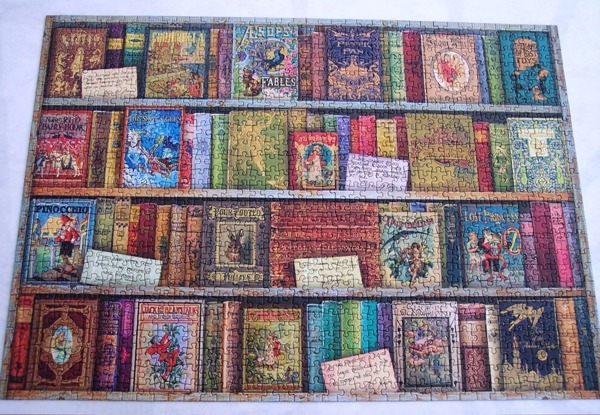 It starts off with his 'travels' as a child, around London with his nanny and on holiday to Devon with his family. His time in a tall ship is described, then war broke out and, after Italy, he ended up in a prison of war camp in Germany. After the war, various jobs to fund his and his wife's various trips - he worked in the buying and selling of women's fashion trade. Several essays stood out for me. The prison camp one of course, his thoughts on how the art of William Henry Bartlett and Thomas Allom inspired his love of and curiosity for the history of Byzantium, his explorations of the sewers of London, his trip to the Scottish islands to investigate a way of life that was rapidly dying out, and his cycle trip from Wimbledon to Italy. One or two essays were a bit so-so but in the main this was a cracking read for anyone interested in 20th. century travel and history. I have two more books by Newby on the tbr shelf - A Short Walk in the Hindu Kush and A Small Place in Italy. And of course there are lots more which makes me very happy.